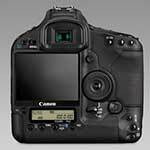 Archive of rumours and information about the eventual replacement for the EOS 1D Mk3. The 1D mark 4 now has its own page. One of our sources has said it’s definitely ‘IV’ not ‘V’ – this via one of the people invited to Canon’s world wide events to announce the camera. Another vote for 1Dv [PB] also suggesting 1.3 crop but not much else of substance. Whilst waiting for new cameras, I’ve just finished a review of the rather useful DSLRRemoteProcamera remote control software for several Canon EOS cameras. The new version now runs on Apple Macs too. 18th Are we to get a jump to the EOS 1DV? 17th Whatever may be announced in the coming week, many of our usual sources are saying they’ve not had any detailed info. 12th We’re told that some Canon dealers are invited to a ‘Pro Event’ on the 20th – A new ‘pro product’. 8th Although some people are expecting news from Canon in the next 2 weeks, both the specific 1D4 comments we’ve had in the last week go for a Jan/Feb announcement. Update – Just as we wonder about writing off an October release, one of our previous sources has suggested the 1D3 replacement will be announced a week after the Nikon D3s. D3s on the 14th (next Wednesday) and the 1D3 replacement the week after that (20th/21st). Both to see at PPE? 6th UK prices seem to be falling still – down to less than £2400. Stock clearance, or just market moves ahead of a possible D3s from Nikon? I also hear of a Canon tester who was not impressed, and thinking of going Nikon -BUT- do remember that what people are given to test are often not fully specced cameras. Nikon did turn down activity in its ‘switch’ campaign last year, as the slump hit, but they are still active in trying to persuade people to try their wares. 1st Although we do keep getting comments suggesting something in October, I’m still minded (only just)to put my money on a new year announcement for the 1D4. Things such as the the mail-in 1D3/1Ds3 + printer rebate at B&H running until the end of January 2010, suggest a later announcement to me. 2009 September 30th That ‘Big’ Canon announcement …Yes, it’s imageRUNNER – indeed bigger than sliced bread. Yesterday we had a couple of comments about the 1D3 replacement – one said by the end of October, and the other said February. Canon are involved in some events in October, but as yet I’ve not seen any real hints for what’s to be announced. 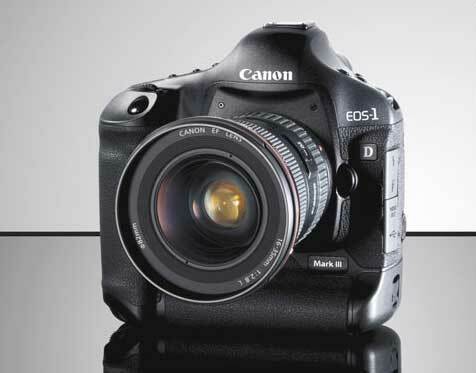 Today, via a European dealer source – 1D4 to be announced mid October and a 36MP 1Ds4 in February. It’s worth noting that Canon have dropped out of the PMA show next Spring – not a good sign for the show’s move from Las Vegas to Anaheim. They will still attend the International CES show organized by the Consumer Electronics Association. The show takes place in Vegas, on January 7-10th. So how about a 1 series announcement early in January? 29th As expected – no camera announcements today – just big stuff in document management. 24th Interesting 7D technical article via CPN – a preview of some of the expected 1D4 features? I also notice a brief preview of the 7D at the Luminous Landscape site, where (surprisingly ;-) the lack of dedicated MLU button is noted. -Completely new AF module akin to that on the 7D but with several times as many AF points. The tracking performance on this will be the best in the industry for many years. Video focus assist will be improved in speed five fold. -Video: 1080p 24,30,25 720p 50, 60, SD with improved picture and audio control limits. Improved video processing. If it has Digic V it will be a true binning downscale and a big jump in quality. -No swivel screen, improved contrast and color gamut. -12 fps at full 14bit. – this is not confirmed just rumored by staff outside of the project! …this camera will not be released this year as speculated. Oh, and there’s this Canon Press release about something big, but not camera related. 20th This time a relatively firm comment [thanks] from a named source, saying that a 16MP 1.3 crop (~27MP FF equiv) 12 fps 1D4 will be launched by the end of October. Of note, was the new screen design based on the 7D, although I was unable to find out if it had an interchangeable element to it. I suspect interchangeable screens are probably of more interest to 1Ds series owners than 1D series. The EOS ‘winter/fall’ catalogue [TDP] is out – 1Ds3 and 1D3 in it – this has in the past signified an end to camera announcements. …However, that doesn’t preclude an announcement of new stuff that may not turn up until January. What is in the mystery Canon box? Toaster, new large format talking printer, something to do with TVs? Although some are saying that Canon will not bring out a Mk4 (4 being ‘unlucky’ in some far eastern cultures), its worth noting Canon’s usual use of Roman numerals, so it would be a mark IV rather than jumping to a 1D Mk5. Our most wayout, but not unfeasible suggestion goes back some time and suggests that Canon have a major new sensor technology to bring out, and that 1D3 and 1Ds3 will be updated at the same time. 7th It’s been a busy day for 1D4 comments. Our latest information says, it’s definitely 1.3 crop and comes in at 12fps. 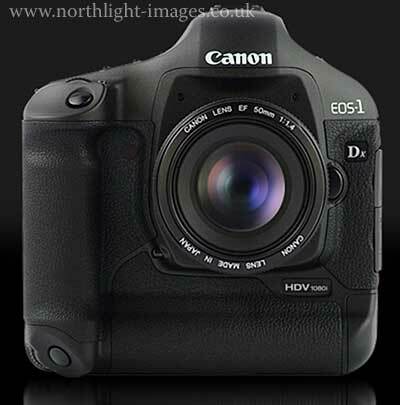 How about the 1D4 becoming the 3D and the 1Ds4 being the ‘flagship’ Digital EOS camera? – one way of losing residual ‘AF related’ bad press for the 1D3? Meanwhile a comment via a Canon rep at a big photo event in Europe…. “The Canon Pro Photo Solutions, which will take place on 27-28 October, is the most comprehensive exhibition of Canon Consumer Imaging products ever staged in the UK, Canon claims. The free event is aimed at professional photographers and will highlight Canon’s offering from image capture to printing. It will be divided into four zones – input featuring digital SLR, digital video and pro lenses; software; output, featuring Canon print solutions; and business support solutions. 5th Whilst bemoaning the delay in the 1D4 a Canon CPS visitor was told to give up any hope for FF – 1.3 crop was what it would be. 4th We’re still hearing of persistent ‘1D4 by October’ comments. Although more sources seem certain of a 1D4 announcement for early next year, with a side bet on more lens announcements this year (announcements – not necessarily shipping). August 27th Another report, this time dealer related, says that the 1D4 will appear in early October. 1D4 Feb 2010 (3yr). Dual Processor – still likely 1.3 crop. New ‘Pro’ AF module. Extra AF points but much easier to use. Also aims to provide vastly better AF from LV. Via sources involved with testing a while ago, we also hear that the 1D mkIV launch has been pushed back possibly to early next year (making it a 3 year cycle). We’re still hearing some people saying they expect the camera in September. The optimists are saying 60D/7D/1D4 in September, whilst some of our longer lasting sources (i.e. ones we have regular email conversations with) are say that it’s ‘just’ a 60D for next month. There is a press event for September the first, so it may be that the 1D4 is just not for this one? 23rd New 1D MkIV this week? In the last issue of “Reponse photo” a French magazine (issue #210), they suggest that Canon would announce the successor of the 1D markIII on the 25th of August. The giant 1D MkIV thread on POTN rumbles on with sightings of a new Canon ‘Pro’ camera at a sports event. 2009 August 13th Canon in Denmark announce a Summer price reduction for both the 1D3 and 1Ds3 – seen at around 20% at one pro dealer (Goecker). More signs of both 1D3 price drops and shortages of supply. Whilst many expect a September announcement, we’ve now heard (thanks) from two sources suggesting it had been pushed back to October – this of course might reflect delayed availability rather than announcement. One other thing to note, is that Canon hasn’t announced a pro camera that late in the year before. 7th In a new version of what’s in store for us, we get the 60D on the 19th of August, with the 1D3 replacement (new name not 1D Mk IV) for the 17th of September? [POTN] Lenses too. An official price drop for the 1D3 and 1Ds3 in Hong Kong – see 1Ds4 page for more info. We’re also told (thanks) that a major supplier in Switzerland has the 1D3 reduced, to clear remaining stock. 24th We hear (thanks) that the 1D3 is in short supply in the Netherlands, with few in stock and several suppliers unable to give lead times for orders. 17th We’re told (thanks) via one of our regular sources that the next 1D will definitely be ‘full frame’ but that other specs are similar to those ‘doing the rounds’. One reason for the FF is that it is a point of concern amongst several ‘major customers’. 2009 June 23rd We’re told [thanks] of a large UK dealer that has one 1D3 in stock and said that ‘it was their last one’. An odd comment if a replacement was not going to be announced until Aug/September. Anyone else noted a shortage of the 1D3? 22nd Time for 1D3 owners to have a word with their Canon rep? From a long 1D4 thread on [POTN] and attributed to a CPS rep.
“…hinted that a 1D upgrade might be in the works for the end of the year–first part of next year-with a redesigned mirror box assembly.Hardware production may have been scaled back but R&D is still going forward. This would still fit with a late summer announcement – delivery of a few cameras before Christmas. Looks and feels like a 1DMk3 except for some moved buttons and reshaped top. Only the supplied version of DPP can process the RAW images, but the dynamic range is impressive, with lots of shadow detail that can be pulled out. It seems that there are quite a few of these out and about. It was supplied ‘blacked out’ where the IV and 1D should be, but with ‘Canon’ still visible. 17th 1D4 testing? Comments from a Canon camera tester. Note this refers to a particular test camera, and as Canon regularly tell people doing testing ‘not all features may make it to production’. Feels faster and more responsive in nearly all aspects of real use. 14th We’re told (thanks) of a conversation with a Canon rep in the US. Their comment was that if you want better noise/ISO/MP/AF and FF then the new 1D will only disappoint on the FF front. 3rd In an update from one of our longer lived sources, they were told that the ‘new 1D’ could be purchased by the end of the year and that it would include ‘HD Video’. In Spanish at DSLRMag. The suggestion is that we may not see a full frame 1D4. We’ve had comments for some time pointing to Canon developments in pixel binning technologies, and before long are expecting that much as you currently make a trade-off between noise and ISO, there will be more such options available. 26th A couple of comments today (thanks) that suggested that much improved video (over 5D2 functionality) would be reserved for a 1D series update, and that it would be ‘soon’. Of course ‘soon’ is a rather flexible term when coming from a Canon rep at a trade show. I suspect this year rather than next. 18th At last, someone has got round to ‘finding’ a 1D MkIV image. 14th From a Chinese forum [Thanks] there is a suggestion that the 1D4 will come in June/July. This from a press contact enquiring of Canon about buying new kit [Xi]. Some aspects are similar to what we’ve heard in the past, but as yet, we’re not putting more than a side bet on these specs. 10th Another comment from PMA [SS] suggesting that there won’t be a Mk4 until next year. Several suggestions in an FM thread, that it will be 16MP but it won’t be FF. 9th Although we’ve had a few comments suggesting a 1D3 update this year, there are others such as CRand our own info at the end of last month, that suggest it may not be till 2010 that the 1D4 is seen. 7th From Germany we hear of a comment at a major dealership, concerning a new camera to be announced -after- PMA. The ‘new’ 1D will supposedly be 16MP and full frame. Whilst most people reserve a degree of skepticism for comments via dealers, it’s worth noting that this news lost them a 5D2 sale. On todays general rumours page we noted a suggestion of a Canon announcement on the 25th. Comments we had last week suggested that it would be Autumn before a new 1D would be seen. The all new AF is not yet ready and sales of the 1D III have picked up. Given the importance of the AF issues, this won’t be rushed. Two dates are targeted for potential release, August 2009 or January/ February 2010 (3 year cycle). A key design target for the new model is to have much improved autofocus in movie mode and live view. This would allow well over 10FPS in a smaller raw or JPEG image mode with main mirror lock up. The aim is to create a class leading FPS for sports. 15-20FPS is in Canon’s sights. Much is still dependent on getting AF not just right, but impressively so. A 21mp FF sensor is the equivalent of a ~12.8MP 1.3 crop. 21MP is a proven resolution and a worthwhile step up for 1D III users. At that pixel density there is still a potential level of ISO sensitivity improvement that could be easily added. 27th We were sent the screen image of the supposed 1D3N stock listing. Whoever originally posted the image obviously took the time to remove some bits of the screen image – of course this says nothing about the reliability of the image. Anyone know any more of this? We actually have a page dating from the last update, which details the 1D2 to 1D2N differences. What might we get? A better display, a bit bigger buffer? 16th More interesting comment on the implications of video at events in this [POTN] thread. The overall feeling I got was that this was something that would be sorted out and could be incorporated into existing contracts and agreements. 2008 December 31st I’ve seen several threads of late suggesting that including video in the next ‘sports’ 1 series might run up against problems with some sports official bodies with respect to ‘broadcast rights’. Not having any professional connection with sports photography at all, I’m not sure the extent to which this is a real issue? 20th Interestingly, as some sources suggest an announcement in the next month or two, we’ve had a comment from one of our ‘longer lived’ sources suggesting that any announcement has been put back to later in the year. “The speculation part of the professional models, new land IV’s. On 22 February 2007 was the Canon EOS 1D Mark III. Earlier, the modellcyklerna for professional cameras have been 3 years. Ingvar reveals that we can expect shorter cycles to come. 5th How about a camera next Autumn? Also mentioned was the possibility of a super high speed crop mode. 2008 November 28th After recent comments we’ve had, we went back to some of our previous sources and asked what’s happening with the 1 series next year. March / April 2009 is expected. This camera’s natural competitor is still the Nikon D3, over which it would have a 50%+ resolution advantage at what Canon feel to be lower noise high ISOs. For the Studio Camera 1Ds3 replacement. Less critical in timing than the ‘sports’ model (September 2009). Canon are looking at a lot higher resolution. Think 50D pixels (~38MP), one further generation of low ISO performance (so that about 39Mp) which can manage 5fps with dual DIGIC 4. This camera’s natural competitor is the Nikon D3x over which it would have a 50%+ resolution advantage at what Canon feel to be lower noise high ISOs. Redesigned AF system. AF points can be visibly seen during servo mode now if you turn it on. 3″ VGA resolution screen with 1:1 pixel view. ISO range 100-6400 expandable in third stop steps to H1 and H2 – and L for ISO 50. Poss ISO 25? ExFAT support as an option for formatting cards but the default is still FAT32. SD/CF has been retained. One card can be configured for video and another for photos. 20th The 1D4 is expected for next March, whilst it may even be launched with the 1Ds4 if Canon feel that they can steal a march on any new Nikon FF cameras. However with distinct noises of a Nikon announcement as soon as November [D3x page] who knows when we might see changes. 3rd More Canon technical info…. August 24th Following on from the general Canon technical plans information we received the other day (see 5D2 page) we were told to expect to start seeing some serious price drops on the 1Ds3 in readiness for new 1 series cameras next year. Not until other high MP competitors (Sony, Nikon) start shipping though. 22nd Although I hear of some dealer shortages in Germany, I’d not expecting the next ‘1’ series camera until early next year. In an interesting FM post there is some comment about what we can expect to see before too long from Canon. Given the ‘leaked’ 50D specs, it will be interesting to see if the next cameras from Canon show any of these features. “DIGIC IV uses less power, and is faster than the dual DIGIC 3 found in the 1D3 and 1Ds3. In particular it can support 16bit raw and the larger 40-50MP sensors under development. With the larger sensors, it also supports pixel-binning where pixels are aggregated to deliver low noise and higher ISO performance at lower resolutions. 2008 August 6th After people have read the article by Rob Galbraith on 1D3 AF issues, there has been renewed talk about a 1D4 or 1D3N. Whilst many still suggest it will be three years between 1D3 and 4 (ie early 2010) there are lots of comments suggesting that Canon might pull out something a bit sooner. July 8th Renewed speculation of multiple Canon releases (see 5d2 page for general details) now include a new 1 series camera – ‘just’ 10MP and with superb low light performance. 11th A 10.1 MP FF sensor for the 1D3n? 23rd With the expected non-announcement yesterday, there’s been a lot more speculation about a possible 1D3n appearing this summer. The IIn does look a bit of an aberation. 18th At DCW there is an interview (in Japanese) that drops a few hints about what Canon is planning. Some have seen some of this as evidence for another full frame camera other than the 5D replacement. However, if you look at the machine translations they could say almost anything. Also, knowing the somewhat eliptical way (to me) that Japanese executives describe business plans, it could mean almost anything. March 12th Is there an announcement of something this Autumn? Could this be the high speed FF camera to (hopefully) put some of Canon’s 1D3 AF woes behind them? February 6th Some future hints in an interview with Chuck Westfall at CNET. What effect this has on the follow up for the 1D3 is unclear, although it now seems much more likely to be full frame. In an interview with Chuck Westfall of Canon US in the video on this page (parts in English after about 50 seconds) he notes that the when the 1D3 was announced, there was no full frame competition, whereas there is now. Given he’s a PR man this is about as strong a hint as any that the 1D’x’ will be full frame. 4th More suggestions from Germany, pointing to a recent 500 Euro fall in 1D3 prices. “The 1DMk3 AF issues have been a great embarrassment for Canon. The camera is not selling as well as hoped. The D3 and Nikon’s new lenses are now seen as a serious threat to the sports and photojournalism market segments. The 1D III was intended to be a ground-breaking camera, but now is considered ‘Kyou’ or bad luck, attributed to it being the 4th camera in the 1D Series. Live View with contrast detection AF and HD Video capture (It is considered this will revolutionise photo journalism and meet growing requirement for web news video and cross media feeds). Stills can be grabbed from HD Video capture but only at 2MP resolution. 10 fps, buffer similar for FF images. 31st October Whilst waiting for Canon to announce the details of the fix for the 1D3 AF problems, I notice that people are starting to ask about a possible 1D3N or 1D4. Digic IV uses less power, and is faster than the dual Digic 3 found in the 1D3 and 1Ds3. In particular it can support 16bit raw and the larger 40-50MP sensors under development. With the larger sensors, it also supports pixel-binning where pixels are agregated to deliver low noise and higher ISO performance at lower resolutions. Canon is working on a new generation CMOS sensor – lower voltage, full 100% cover micro-lenses and better dynamic range allowing 16 bit A/D per pixel raw files. A even higher FPS, with mirror lockup just using sensor contrast AF allowing even higher frame rates. When was that camera announced? UK PRCanon today sets new standards for professional photography with the launch of the EOS-1D Mark III. Delivering 10 frames per second at 10.1 Megapixels for a maximum burst of 110 Large JPEG images (30 in RAW), the EOS-1D Mark III replaces the EOS-1D Mark II N as the world’s fastest digital SLR. Dual “DIGIC III” processors drive the camera’s high speed, high resolution performance, and bring 14-bit image processing to the EOS series for the first time.A ground-up redesign introduces a host of new features and advancements to Canon’s flagship EOS-1 series, including a 3.0” LCD with Live View mode, EOS Integrated Cleaning System, new auto focus system with 19 cross-type sensors, and 63-zone exposure metering. The camera’s APS-H size (28.1 x 18.7 mm) CMOS sensor enables a wider 100-3200 ISO range as standard, expandable to L:50 and H:6400. The EOS-1D line has enjoyed massive popularity among the world’s leading sports, reportage and wildlife photographers, with international wire agencies AFP, Getty and Reuters choosing Canon for their photographers. “The people at Canon is great to work with because they listen to photographers. It’s their attention to detail and the pace of innovation that makes EOS the system of choice,” explained Stephen Munday, Director of Operations – Editorial, Getty Images. Canon’s dual “DIGIC III” processors deliver unprecedented levels of speed, responsiveness and image quality. Ready to shoot within 0.2 seconds of power on, the EOS-1D Mark III can capture and process over 100 Megapixels of image data per second, rapidly clearing the image buffer to allow up to 110 frames in one burst. Images are processed at 14 bits for a total colour depth of up to 16,384 tones per pixel, compared to 4,096 tones from 12 bit images. The third generation CMOS sensor incorporates a new pixel design that works together with on-chip noise reduction circuitry to ensure high image quality at ISO 3200. The option to expand to H:6400 will benefit professionals working in news and sports locations where the use of flash is not permitted or desired. Canon has redesigned its auto focus system to include 19 cross-type sensors with sensitivity up to f/2.8, spread out across the AF area to better accommodate off-centre subjects. An additional 26 AF assist points are used to aid AF tracking for improved accuracy. Responding to professional photographer requests, a dedicated AF button on the back of the camera allows users to instantly switch auto focus on or off while keeping their eye on the viewfinder. The viewfinder is now brighter and offers a wider angle of view. The camera’s new 63-zone metering system gives photographers greater level of control over exposure. The bright 3.0” LCD monitor provides 230K pixels resolution for precise framing and reviewing of shots. New to EOS, Live View mode enables photographers to frame without having to look through the viewfinder – particularly useful for shooting from awkward positions. The menu system on the EOS-1D Mark III has been completely redesigned to take advantage of the LCD size – menus are easier to read and use. A choice of 57 custom functions gives photographers more options for customising camera settings to their daily working requirements. A new My Menu option allows photographers to store frequently used settings on a separate menu for faster access. Settings for new accessories such as the Speedlite 580EX II and Wireless File Transmitter WFT-E2 – also released today – can be controlled directly from the LCD. The EOS-1D Mark III incorporates a range of practical enhancements for the working photographer. Shutter durability has been increased by 50% to 300,000 cycles. The body is protected by a magnesium alloy casing with dust and moisture resistant seals. The EOS Integrated Cleaning System provides further reliability by reducing sensor dust, minimising the need for manual cleaning on assignment. To avoid corruption of captured images, a warning appears on the LCD and an alarm sounds if the memory card door is opened while images are still being written. Interfaces include video out (for display in both NTSC and PAL formats) and USB 2.0. EF 16-35mm f/2.8L II USM – A fast, ultra wide-angle zoom lens delivering exceptional image quality throughout the aperture range. Speedlite 580EX II – An update of the Speedlite 580EX that offers weather resistance when attached to the EOS-1D Mark III. Wireless File Transmitter WFT-E2 – Smaller, lighter and more versatile than its predecessor, the WFT-E2 speeds up workflows by allowing photographers to transmit images wirelessly during the shoot. Original Data Security Kit OSK-E3 – Verifies the authenticity of images taken with the camera and supports image encryption for additional security. The EOS-1D Mark III is supplied with a comprehensive software suite to help the photographer’s workflow. This includes Digital Photo Professional (DPP), a powerful RAW converter that provides complete RAW image processing control. DPP integrates with cameras features such as the Dust Delete Data and Picture Style. The camera also comes with EOS Utility, ImageBrowser/Zoom Browser and Photostitch.